Supreme Court ruling on appointed officials: equal protection or undue advantage? Cebu City residents had expected GSIS chairman Winston Garcia to run as city mayor. But Garcia did not file his Certificate of Candidacy. Presumably, Garcia has still many things to do in GSIS. Presumably, Garcia doesn’t want to leave his position. As appointed official, he is considered as automatically resigned from his post once he file his COC based on the Omnibus Election Code. Why should we not allow officials like Winston Garcia to run without leaving their post? The recent Supreme Court ruling answers the question. Suprisingly, SC favored appointed officials like Winston. In an 8-6 vote, the SC declared as unconstitutional a provision in the Omnibus Election Code prohibiting an appointive government official from discharging his functions after filing his COC, PhilStar.com report reads. The high court also nullified similar rules and provisions, including the provision of Resolution 8678 issued by the Commission on Elections (Comelec), the same report added. With this ruling, Dangerous Drugs Board chairman Vicente Sotto III should not resign to run for senator; Gilbert Teodoro, National Defense Secretart and chairman of the National Disaster Coordinating Council should not resign to run as president. In reaching this decision, eight of the Supreme Court justices said the law violated the constitutional guarantee that no person should be denied the equal protection of the law, the editorial of Manila Standard Today observes. But by giving equal protection of the law to appointed officials, the Supreme Court had given undue advantage. A public school head can run without leaving his position, a radio station manager of state-run Radyo ng Bayan can run without leaving his job. Imagine a police chief seeking a local position or a local COMELEC official running for mayor who don’t leave his job? Of course, it sounds immoral and ethical if those people run without resigning. But what is immoral and unethical is considered as legal. There will be no violation of the law. The Ramon Aboitiz Foundation, Inc. (RAFI) has launched the 5th Ramon Aboitiz Foundation Triennial Awards for the Visayas and Mindanao at Casa Gorordo Museum, Parian, Cebu City on December 3, 2009. This starts the acceptance of nominations for the award’s two categories, the Ramon Aboitiz Award for Exemplary Individual and the Eduardo Aboitiz Award for Outstanding Institution. Anyone can nominate individuals or institutions by filling out and submitting a short nomination form at all 2GO offices in the Visayas and Mindanao. Nomination form can also be downloaded from the RAFI website. The deadline of nomination is on July 16, 2010. 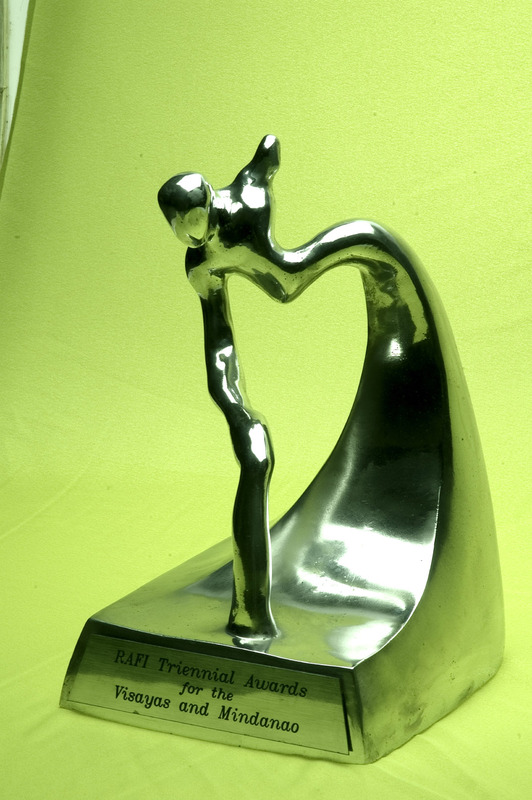 The RAFI Triennial Awards recognizes individuals and institutions who have committed themselves to build a more humane, equitable and caring society. It honors those who become instrument in changing the lives of the less-privileged, reflect the philanthropic, humanitarian and holistic ideals and values of the RAFI founders, Don Ramon Aboitiz and his son Don Eduardo Aboitiz. Roberto E. Aboitiz, in his message, lamented on the recent events in Maguindanao but was very optimistic by saying, despite the apathy and indifference of some people, we have lot of good work taking place in our country. Roberto E. Aboitiz is the president of the Ramon Aboitiz Foundation. We never run out of topics on politics. And the quest to find good place to fire up political views continues. We hear moderate but heated arguments (read as exchanges of views) in cozy coffee shops but seldom in mall’s foodcourt. But wait, SM foodcourt is becoming a favorite hotspot of bloggers meeting with bloggers to savor a wide-variety of great tasting food and talk about palatable topics while Plurking, Blogging, and Facebooking. SM City Cebu has mall-wide free wi-fi. So we won’t get disconnected to WWW while sitting and eating. Not just bloggers but lovers, family, friends, new acquiantancies and politicos and their allies. SM City Cebu Foodcourt offers more than foods. It becomes a place of convergence of people and interest. On November 30, SM City Cebu invited Cebu bloggers for the Asia-in-a-Basket Food Blogger’s meet. The activity showcased the the wide-variety of foods SM City Cebu foodcourt is offering. Fellow members of Cebu Blogger’s Society did food reviews. And it pays to read their posts. Clarence of Everything UbeC mentions on this blog about great food and excellent service at the foodcourt. Rabsin described the food as inevitable to be eaten. He got some pictures in his blog, too. Checkout also Mark’s blog because he enumerated the different food outlets at the foodcourt and included brief description of what they can offer. See also Miong’s great photos. Food, places, and politics are the perfect team. History can attest that. Some of our Katipunero’s discussed and planned about revolution while drinking kapeng barako ang eating suman. Of course, ours will be different. We are not planning a revolution. Have you heard a group of men who sipped coffee in Mandaue and after a while stood up support a national candidate for 2010 elections? The next time you shop and suddenly got a call from ally reporting about political disaster, don’t drop yourself. Invite your ally to eat then drink fresh refreshments before allowing him to talk about disaster. Later, you’ll be surprised because you will end up talking about children instead.